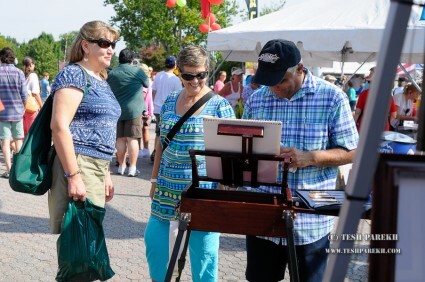 It was great being at the Cary Lazy Daze as the featured artist of 2014. I was commissioned by Town of Cary to create the artwork for 2014. The artwork was unveiled back in February and was featured in the marketing and on the promotional items. I had the original framed painting on display at my booth and received many compliments from the festival-goers. My booth was on the North Academy street. It was busy! I had my original watercolors, oils and prints on the display. I enjoyed meeting many people who stopped by. 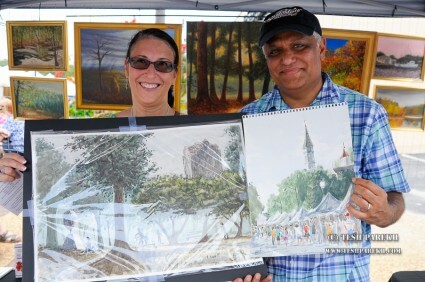 I made couple of new plein air pantings at the festival! 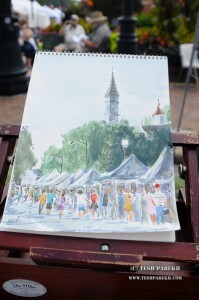 A new collector purchased one of those and also purchased another plein air painting of Raleigh’s Moore Square. I thank the Town of Cary for giving me this opportunity. Special thank you to Joy Ennis and her team. 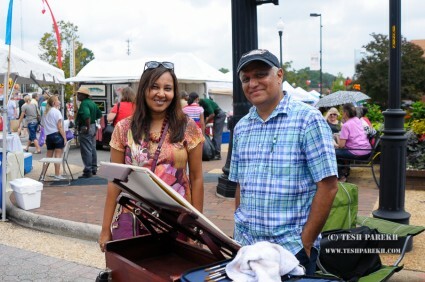 A very well organized festival with tons of volunteers who were eager to help. Painting live at the Cary Lazy Daze. I did two paintings one of which was purchased by a new collector. My olein air painting of the Cary Lazy Daze. Two originals were purchase by a new collector. Thank you and congratulations! 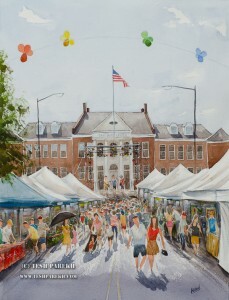 My featured painting of the Cary Lazy Daze 2014.